Ideal for a hard day at the office or after exercise. Relax Bath & Shower Concentrate is a stress-relief shower bath to calm your mind and body. 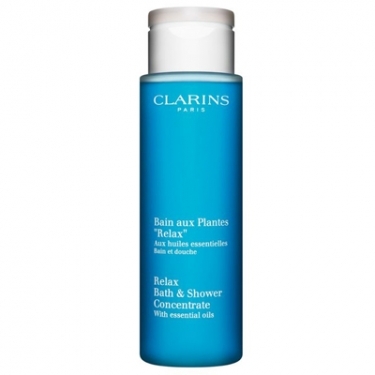 Contains chamomile extracts, petite grain, basil to relax and rebalance your skin's texture and smoothness. Coconut extracts helps cleanse skin whilst extracts of Linden and St. John's Wort relax and comfort. Use in shower. Pour the Concentrate under running water (maximum temp. 37°C). Massage the foam all over the body and inhale deeply to benefit from the aromatic properties. Massage the Concentrate over the body with a sponge.